This little item is one of the more disturbing objects on the list. 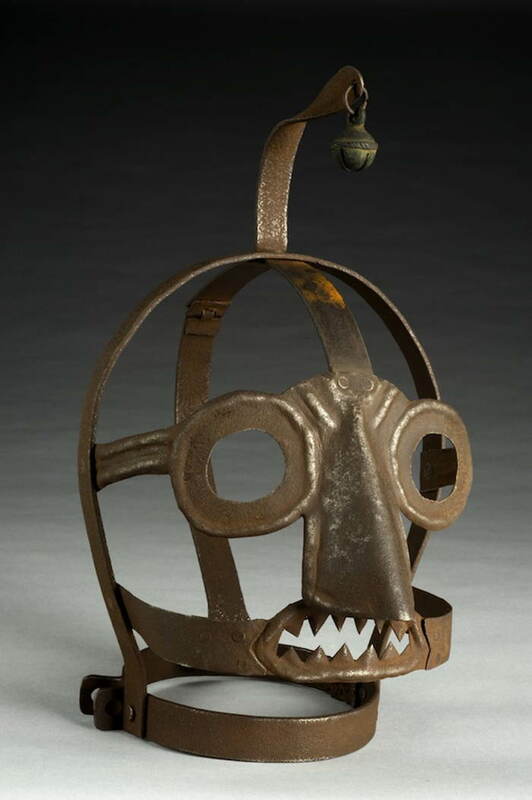 A ‘Scold’s bridle’ is a fearsome looking thing from the 1500s whose purpose was to cure your gabbing woman of her nasty—and apparently singularly female—tendency to fight or gossip. When secured to the woman’s head, this contraption rendered her incapable of speaking. 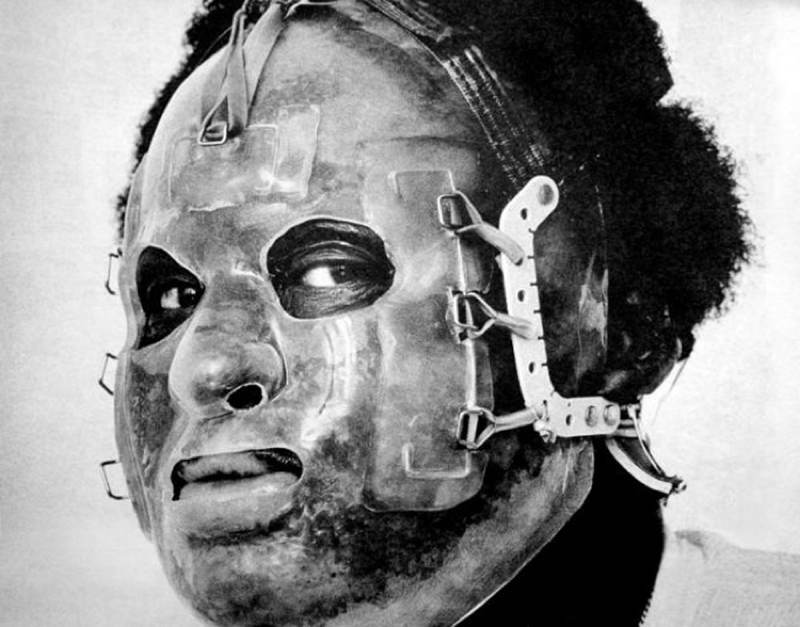 Occasionally, these creepy masks would be studded with spikes near the mouth, which meant that if the overly chatty female dared try to speak, she would experience immediate pain. The mask had its origins in Britain and spread like a disease to some other European countries, with the punishment normally handed down by a local magistrate. This particular example features a bell, which was meant to draw even more attention and embarrassment unto the wearer. It continued to be used until the early 1800s as a punishment for another marginalized sect of society: the poor. 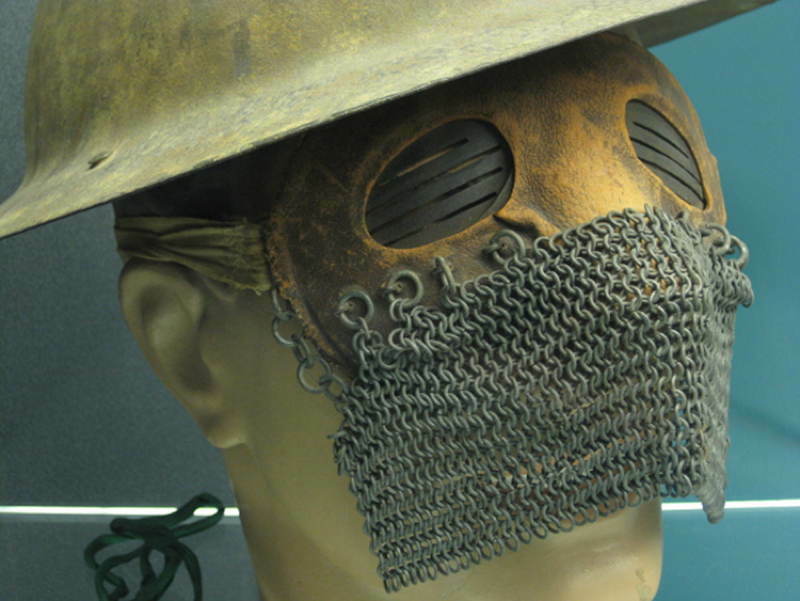 While “splatter mask” sounds like a horrifying name to an object meant for a rather cruel punishment, these devices were actually protective gear worn by British tank operators in World War I. Tanks in the early 1900s had not reached their full operating or safety potential; they often broke down and could be all but destroyed by enemies’ heavy artillery. Anyone operating the tank was in the direct line of fire for flying shrapnel and bullets, and the tanks themselves were known for spitting rivets in the faces of the occupants. The splatter mask was fashioned from chainmail and tough leather, and though it looks intimidating, it was your best friend if you found yourself inside the belly of a rolling beast. 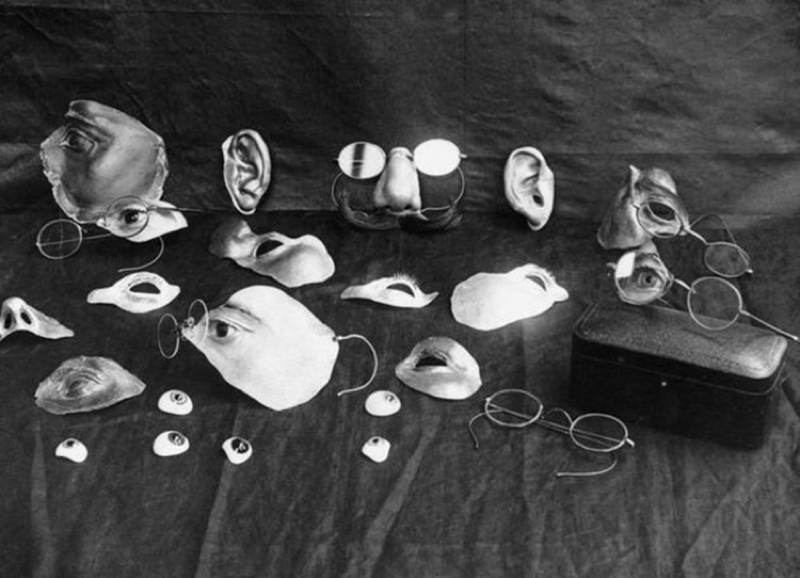 Feast your eyes upon this disturbing photo of early plastic surgery prosthetics, complete with spectacles to keep the parts in place. The original caption found with this photo says: “Repairing war’s ravages: renovating facial injuries”. The leaps and bounds made within the field of plastic surgery were perhaps some of the very few positive effects of World War One.